While gaming has been blamed for making people lazy and fat, Google has finally found a way to break that cliché. The American Based Tech Giants Today released there first Augmented reality game, Ingress. The Game is currently Available for Android and you can download it from Google Play. The game has been released by Niantic Labs of Google and it surely the first step in revolutionizing gaming experience. The game is based on Navigation and if you want to play it, you have to get out of the house. The game has two sides, the Enlightened and the Resistance. You can choose the side upon you will. 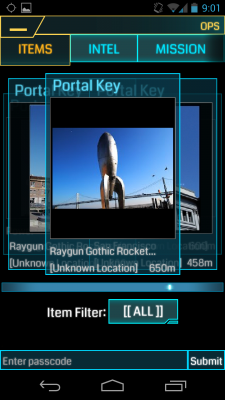 Ingress is a perfect game if you are in a place which you don’t know much. You can use the game to move around and see all the important places. The game can be played in rural communities as well. The real question is, how big and how long will this game be? Can anyone end it or is there an end point to it. Will there be a Summit after which you can say ‘I have finished the game’? Google will have to sort that out once the game goes mainstream. Here is a teaser video of the game. Hi,Played this game when it first released.ingress is a strategy game,whose goal is to capture and/or make portals at distinctive milestones and connection them in a manner that makes virtual triangular fields over enormous regions.It is situated in a world where invasion from an extraterrestrial force appears imminent and humanity is separated in 2 factions –The Enlightened and The Resistance,each one fighting for control over more zone –and hence more portals.It was a really decent idea unless you live in a residential area like me where you can't simply stroll to anyplace you want.Thank you.~Kathy Brooks. This is a game that remunerates physical connection and teamwork,so you truly need to request that whether you're willing give it that kind of commitment.Particularly when it implies regularly revisiting portals or heading advance abroad to capture or change over new ones. @Linda Smith.